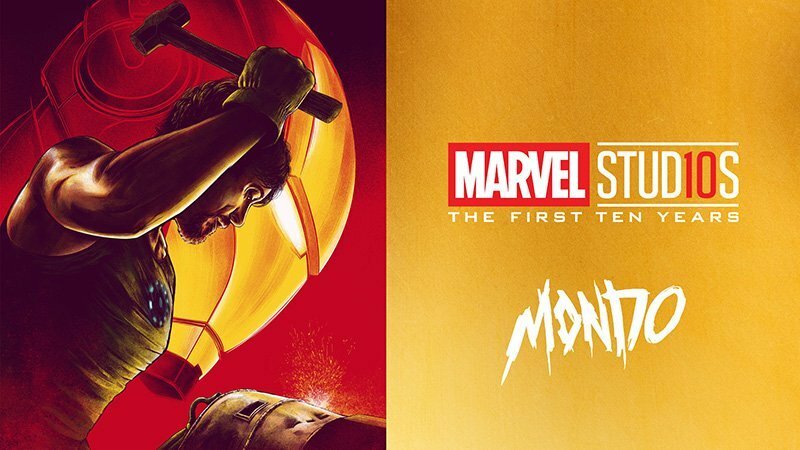 Mondo Gallery has announced Marvel Studios: The First Ten Years, an epic celebration of the twenty films to date in the Marvel Cinematic Universe. Featuring new contributions from some of Mondo’s most sought-after artists as well as previously released pieces on display, the show promises to be one of the mightiest in Mondo Gallery history. You can check out a preview of the poster art featuring Iron Man by César Moreno in the gallery below! 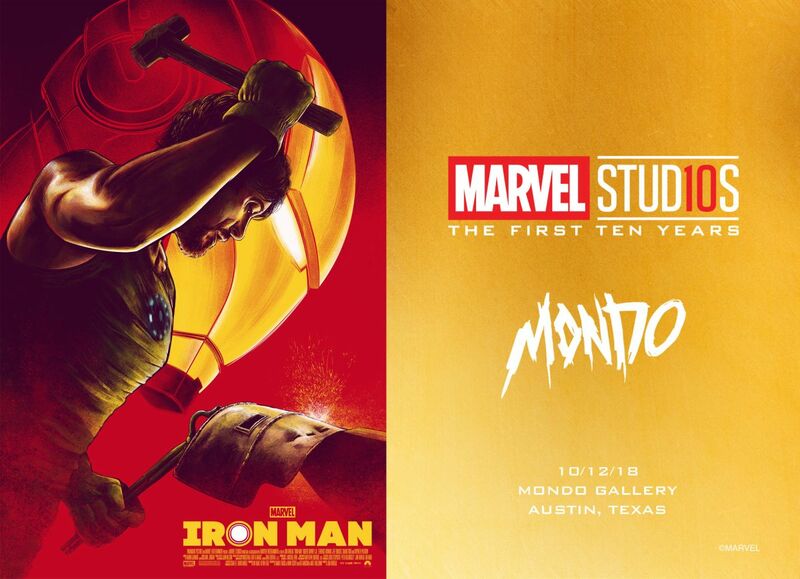 Marvel Studios: The First Ten Years kicks off with an opening night reception on Friday, October 12 from 5:00pm – 10:00pm and continues during regular gallery hours, Tuesday – Saturday from 12:00pm – 6:00pm, through October 20. Mondo Gallery is located at 4115 Guadalupe Street in Austin, TX. On Saturday, October 13 from 10:00am – Noon there will be a special Family Day party open to the public, which will include face painting, family photos ops, coffee & baked goods, and more! Costumes are encouraged! Marvel Studios: The First Ten Years brings fans an unprecedented artistic and cinematic journey, featuring all new posters and artwork from an incredible lineup of Mondo artists taking on the heroes, villains, and films of the blockbuster MCU.